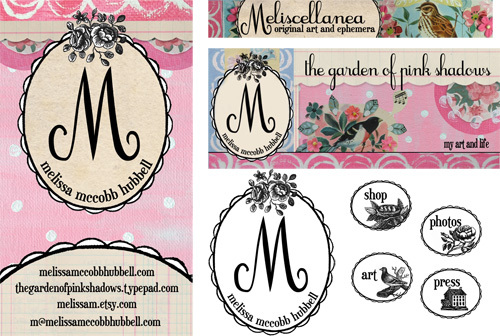 You may notice a new link over under the 'sites I have designed' section .... Melissa McCobb Hubbell. We worked together to develop a logo/idenity for her that can be used across all her sites, that can go with anything so when she wants to update her blog banner, etsy banner, business cards. etc with current artwork- the logo will always flow with it. It was so much fun working with her, working with artists who have a pretty clear view of what they want is surprisingly rewarding. To see their reaction when their visions are made into reality is priceless, and I love the energy of bouncing ideas and thoughts back and forth while we work. You can see what we did with her blog here. This is really a great blog publish with thanks for sharing this academic information.